Our philosophy is simple – to combine the best possible learning experience for students with the simplest and most effective administration tools for course co-ordinators and training managers. 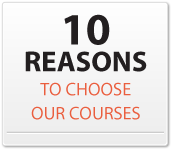 Each course was written by leading industry experts. Many include scenarios taken from first-hand experience, to help learners relate their learning outcomes to different workplace practices. Once the course is completed, each learner earns CPD (Continued Professional Development) points and is given access to a multiple-choice exam with questions randomly selected to cover all major aspects of the subject. Once they pass the exam, they will receive a uniquely numbered, personalised certificate so they can demonstrate their knowledge. A comprehensive guide to the practical application of International ICH-GCP. Fully ICH-GCP & UK Compliant. International GCP in Bulgarian. A guide to international Good Clinical Practice regulations. International GCP in French. A guide to international Good Clinical Practice regulations. International GCP in Polish. A guide to international Good Clinical Practice regulations. International GCP in Russian. A guide to international Good Clinical Practice regulations. International GCP in Spanish. A guide to international Good Clinical Practice regulations. An introduction to Good Clinical Practice (ICH-GCP) and tailored to the German regulatory framework. An intro to Good Clinical Practice (ICH-GCP), translated into Portuguese. Updated in March 2017. An introduction to Good Clinical Practice (ICH-GCP) translated into Japanese. An introduction to Good Clinical Practice (ICH-GCP) translated into Italian. International GCP in Romanian. A guide to international Good Clinical Practice regulations. A comprehensive guide to Good Clinical Practice and its principles as applied in Latin America. A comprehensive guide to the Care Certificate for workers who are new to the care sector. This course gives a complete overview of the different types of dementia and implications for care.